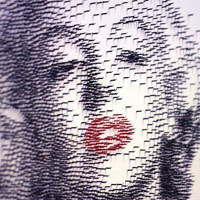 Artist David Foster recreates iconic images by hammering thousand of nails onto a canvas. His artworks begin with a photograph that he then translates into a sketch; proceeding to hammer nails into place to create the incredible effect. Nails are polished to look beautiful and usually they are polished with the same or contrasting color of the dress but some people don’t consider all these things and take polishing to a new direction. Who knew nails could be so dramatic? It is interesting to see how a touch of life can be shown by using art, and here the artists Vlad Artazov has tried to show human emotions through nails.